Viknesh Vijayenthiran December 27, 2016 Comment Now! Ferrari’s [NYSE:RACE] ultra-exclusive Special Projects division has churned out another bespoke creation for a well-heeled customer. 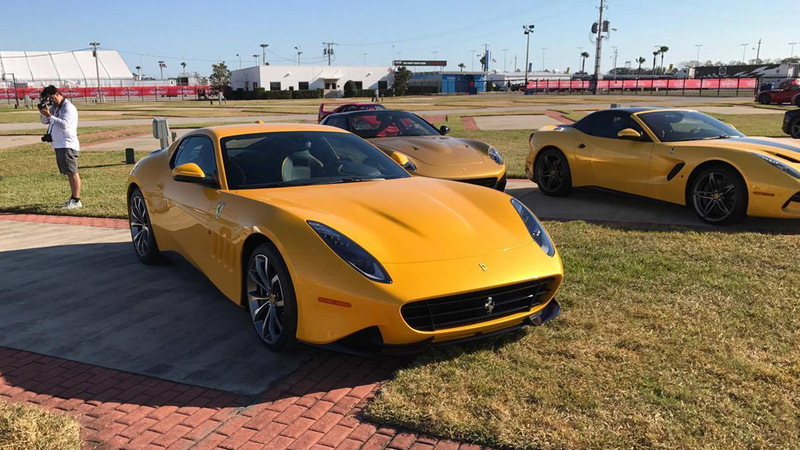 The car is the SP 275 RW Competizione and it was shown for the first time in early December during Ferrari’s Finali Mondiali event in Daytona, Florida. Ferrari has since divulged full details on the car. 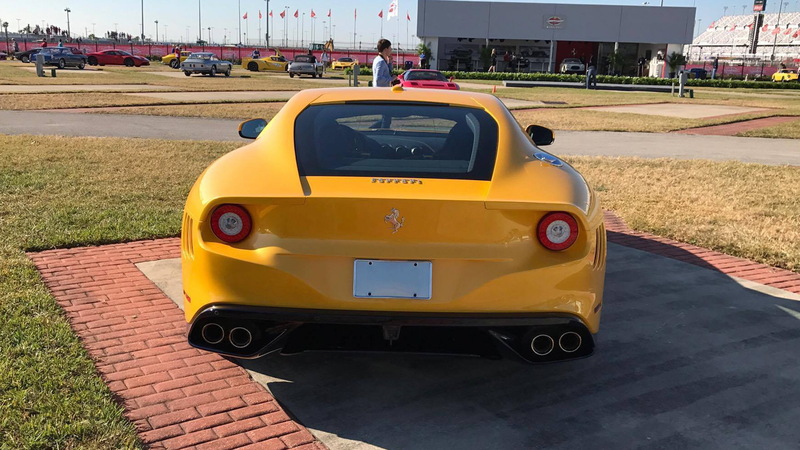 It is based on the F12 Berlinetta but features the more potent engine of the F12 tdf. The 6.3-liter V-12 delivers a screaming 770 horsepower and 520 pound-feet of torque, one of the highest outputs for a naturally-aspirated production engine. The “RW” in the title represents the initials of the car’s owner, in this case Florida dentist Rick Workman. He’s the owner of two previous Special Projects cars: the 599-based P540 Superfast Aperta unveiled in 2009 and the F12-based F60 America unveiled in 2014. Both were present at the SP 275 RW’s debut in Daytona. And the “275” in the name is a reference to Ferrari’s 275 GTB of the 1960s, in particular the 1964 275 GTB/C, of which just three were made. Fellow Florida resident Preston Henn owns the sole example to have been raced, a car many consider to be the ultimate Ferrari and the most valuable car in the world. The stance of the SP 275 RW Competizione, especially when moving from the rear three-quarter panel to the rear wheel arch was carefully refined with a slightly wider track to provide a more muscular look. The front features a more traditional Ferrari grille with a prominent yet smoothly integrated power bulge on the hood. The latter is joined by the slim, vertically-stacked headlights. Finally, the car sits on a set of 20-inch forged alloys unique to it. Visual cues linking the past and present models include the smooth, voluptuous surfacing, ducktail rear spoiler, and the louvres in the front fenders, three-quarter panels and rear bumper. A final nod to the past is the milled aluminum fuel filler cap. 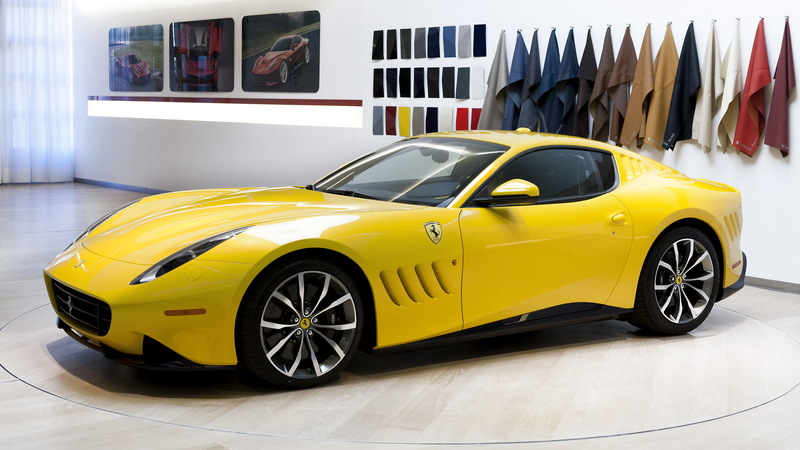 Ferrari’s Special Projects cars are built for the company’s most loyal customers. One has to be invited to commission a build, with the bill typically running into the millions of dollars. 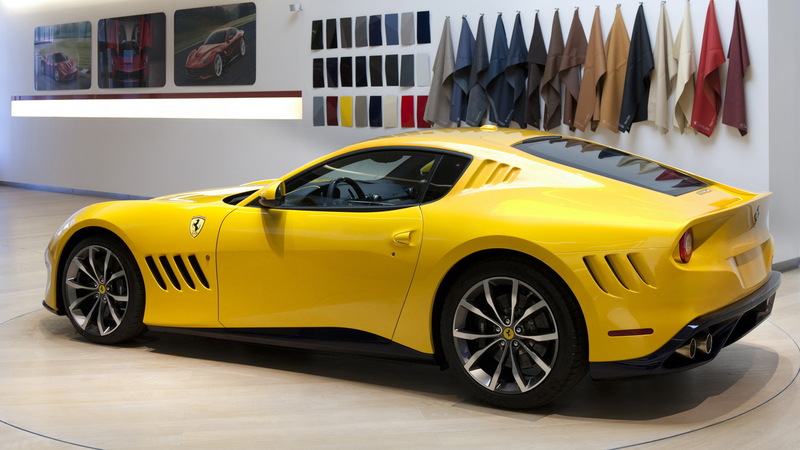 The design is handled by Ferrari though the customer gets to choose the inspiration. The first was the F430-based SP1 that appeared in 2008. We typically see two Special Projects cars per year. For example, also in 2016, we saw the 458 MM Speciale.